Game, set, match! Duchess Kate stepped out at the opening day of the Wimbledon Tennis Tournament in London on Monday, July 3, rocking a notably shorter ‘do. The Duchess of Cambridge typically wears her hair long — sometimes it reaches the middle of her back — so her new mid length style marks quite the departure for 34-year-old Duchess Kate. The cut, which is similar to younger sister Pippa’s signature lob, grazes just below the Duchess’ shoulders and was styled with loose, face-framing waves, which added movement and body to her glossy, thick chocolate mane. The ultra-feminine vibes didn’t stop there. 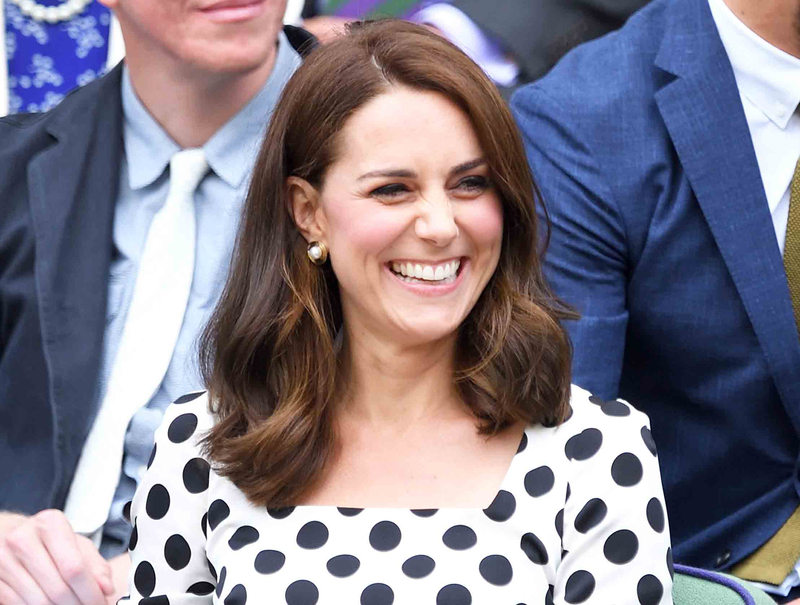 Duchess Kate paired her new cut with a classic and girly polka-dotted Dolce & Gabbana frock. The black and white dress had 3/4 sleeves, with a square neckline and was cropped just above the knees. To finish the look, the Duchess of Cambridge accessorized with a pair of gold and pearl Oscar de la Renta post earrings, structured white Victoria Beckham bag and simple black block-heeled sandals that showed off her toned stems. On June 29, Duchess Kate appeared in mod-inspired Gucci for an appearance at the Victoria & Albert Exhibition Road Quarter, and prior to that, stunned in navy trousers, which were quite a style remix from her normal look. Stylish has our eyes peeled for what she will do and wear next! Tell Us: What do you think of Duchess Kate’s new look?